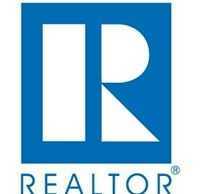 WASHINGTON, D.C. – October 31, 2013 – (RealEstateRama) — Revised rules proposed by federal regulators will help ensure rigorous and effective underwriting while also providing creditworthy homebuyers with access to safe mortgage financing, according to the National Association of Realtors®. In a comment letter submitted today, NAR applauded regulators for synchronizing Qualified Residential Mortgage standards with those applied to the related Qualified Mortgage rule. The re-proposed rules are stringent enough to protect consumers from unscrupulous lending practices while also creating new opportunities for private capital to re-establish itself as part of a robust and competitive mortgage market. NAR also criticized regulators’ alternative proposal, which would require a 30 percent down payment from buyers, for being unduly narrow and unnecessary to assure safe and sound mortgage lending. The demand for high down payments ignores strong evidence that responsible lending standards and ensuring a borrower’s ability to repay have the greatest impact on reducing lender risk. The low foreclosure rate of Veterans Affairs loans, which have the lowest down payment requirements and relatively low default rates, is further evidence that the key to safe lending is sound underwriting and documentation, rather than high down payments. Realtors® were among the most vocal opponents of the first QRM rule proposed in April 2011, because it included a 20 percent down payment requirement that would have denied millions of creditworthy Americans access to the lowest cost and safest mortgages. The rule preferred by NAR would not include a down payment requirement and adopt reasonable credit and debt-to-income standards. “NAR firmly believes that the re-proposed rule will help hardworking, creditworthy consumers achieve their dreams of owning a home,” said Thomas. NAR supports the proposed rule’s treatment of the government-sponsored enterprises while in conservatorship. The guaranty provided by the GSEs will satisfy the rule’s risk retention requirements. The GSEs continue to play a crucial role in providing affordable and available financing to consumers during the economic downturn, and until the statutory and regulatory framework for the GSEs becomes clear, the agencies should not impose risk retention standards that would prevent qualified home buyers from finding fair and affordable mortgages. There is broad support for the regulators’ re-proposed QRM rule among banking, housing and consumer advocacy groups, who have joined forces and forged the Coalition for Sensible Housing Policy, which includes NAR and 52 other organizations that are focused on drawing attention to the proposed regulation.